Jammu & Kashmir is home to a large number of ancient places of spiritual importance. Of the many such Kshetras, the well-known Shankaracharya Hill is situated in Srinagar. The Holy Amarnath Yatra is a pilgrimage undertaken by the pious from all parts of our country. Shri Amarnath Mahatmyam is a treatise present in the text called Bringeesha Samhita. The Bringeesha Samhita contains the Mahatmya of other Teerthas and Ksehtras of Kashmir including the famous Kheer Bhavani Temple. 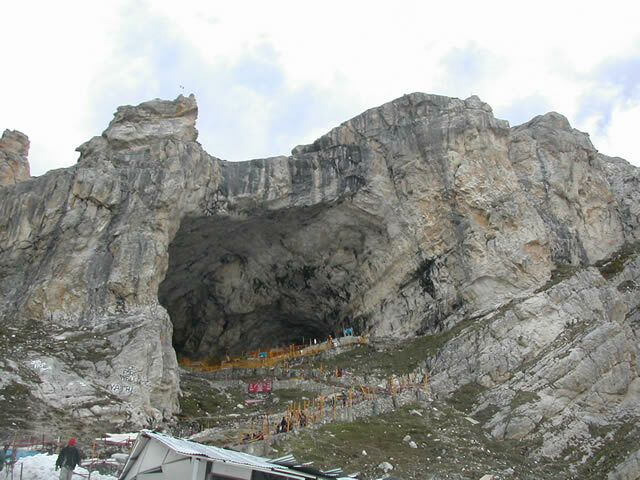 The importance of the Amarnath Yatra, and the procedure to perform it is explained in detail. The Sanskrit and Tamil versions of the Amarnath Mahatmyam has been compiled and brought out as a booklet as directed by Their Holinesses Pujyashri Shankaracharya Swamijis of Shri Kanchi Kamakoti Peetam, Kanchipuram for the benefit of devotees who plan to undertake this holy pilgrimage. The text was translated from its original in Sanskrit into Telugu.